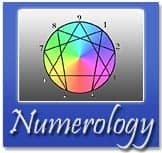 Numerology calculator is shown in the numerology articles. Numerology is the science of number meanings or vibration. Just like Astrology, Numerology has a birth chart.